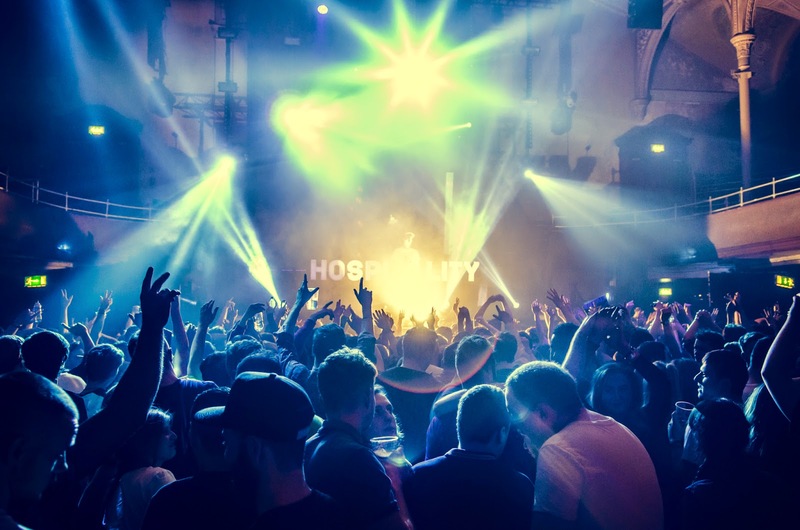 Review: Hospital Records crew brought their 'A' game to Manchester's Albert Hall. I don’t think I've ever been to a Hospitality night and been disappointed – and last night was definitely no exception. 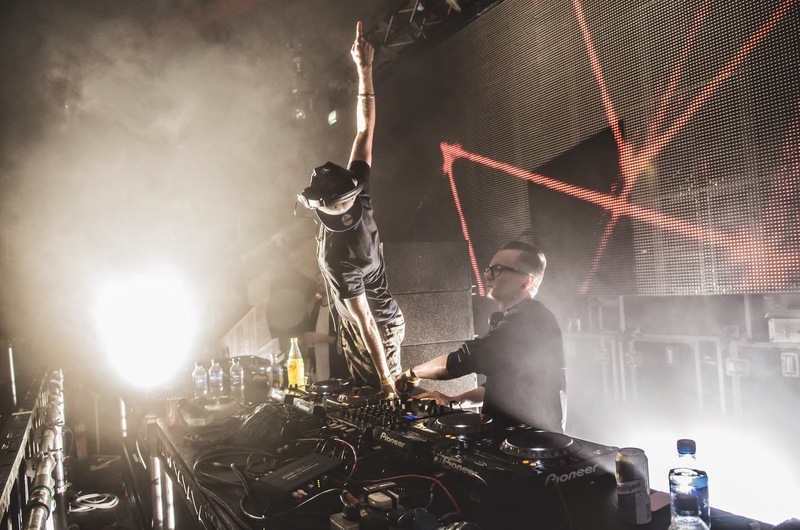 With a line-up of never before seen b2b acts, the night had the crowd hooked from start to finish. Opening set of the night went to relatively new Hospital Records signings Krakota and Reso who got the crowd bouncing around with a great blend of darker, techy drum and bass and some old school favourites- everyone went absolutely mental (including the MC, Inja who had bucket loads of energy and kept jumping all over the stage during his time on stage) when Super Sharp Shooter was dropped, and they ended on Shy FX’s Original Nuttah. Next up was Logistics b2b Lynx. Now I’ve got a proper soft spot for Logistics and I’d never seen Lynx before so was dead excited about what they would bring. I was not let down. Combining Logistics incredible selection and Lynx’s fast past mixing, I don’t think anybody was standing still for the full hour they played. Highlight of their set had to be when an absolutely brutal remix of Noisia’s Diplodocus was dropped and the room turned into a giant mosh pit. 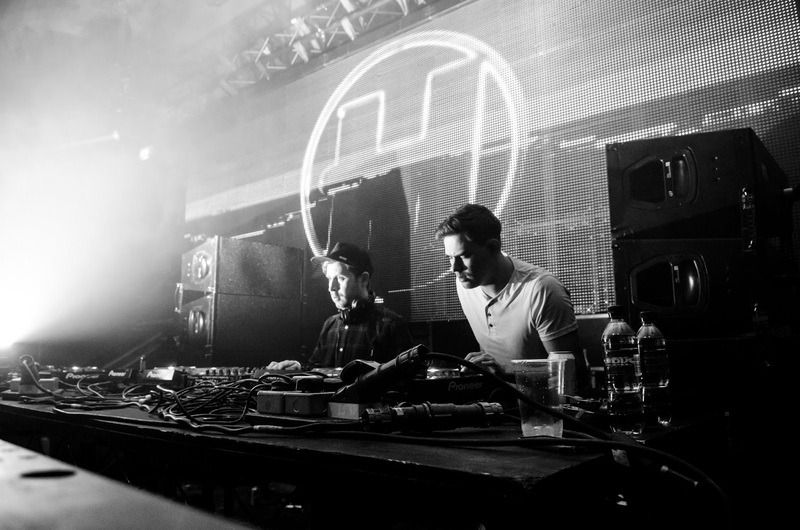 It needed a stupendously good act to follow on from those two, and Etherwood and Spectrasoul were on top form. Etherwood’s latest track, Amen Roadtrip went down a storm, featuring a cheeky Fatboy Slim sample and a rather delicious amount of percussion meant that the junglists in the crowd were kept happy. Both DJs were excellent selectors – and you can always tell if the DJs are enjoying themselves as I kept spying both of them dancing behind the decks whenever the other dropped a tune! take it down a tempo – not these two. They double dropped so many tracks in the first 10 minutes of their set (I lost count). 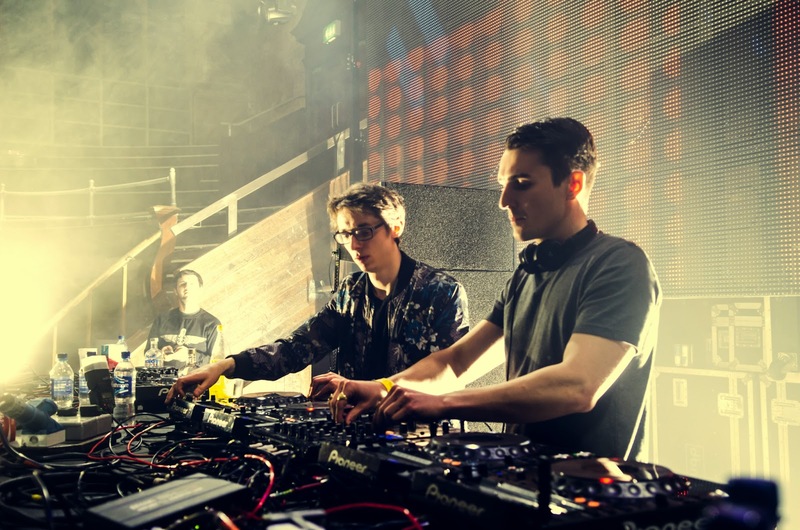 One of my favourite things about Fred V & Grafix, and in fact, all the Hospital Records crew, is that they always play LOADS of their own tunes. Nothing better than hearing the crowd singing tracks back to the DJs as they are being played. I definitely caught my second wind during this set as they played loads of my favourite tracks from the past couple of years including some Sub Focus (hello Endorphins) and a load of tracks of their latest album. Rounding off the night went to Shogun Audio's Rockwell and RAM's Rene LaVice. I genuinely didn't know what to expect from these two so kept an open mind. Oh my days. To say they tore the roof off the place would be an understatement! 3am and with a sizeable crowd still in the building, they decided to go in hard. Personal highlight for me was when they dropped Asteroids by Noisia & Prolix at half 3 in the morning and the crowd went wild – people jumping around, skanking, arms flailing. The crowd also loved hearing Rene’s latest track ‘The Calling’ (which is doing so well, currently smashing BBC Radio 1s A-List). All in all, it was a fab night. 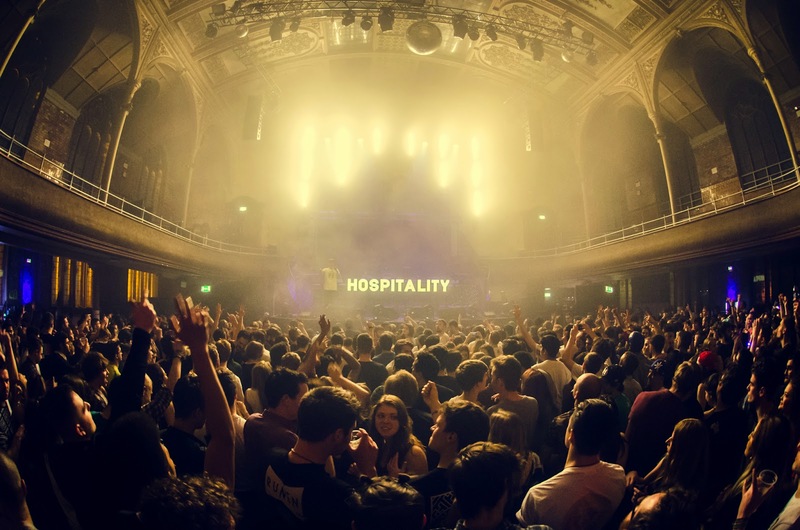 Hospitality always bring their A game and last night was no exception. The only problem I ever have with them is that they don’t come to Manchester often enough!